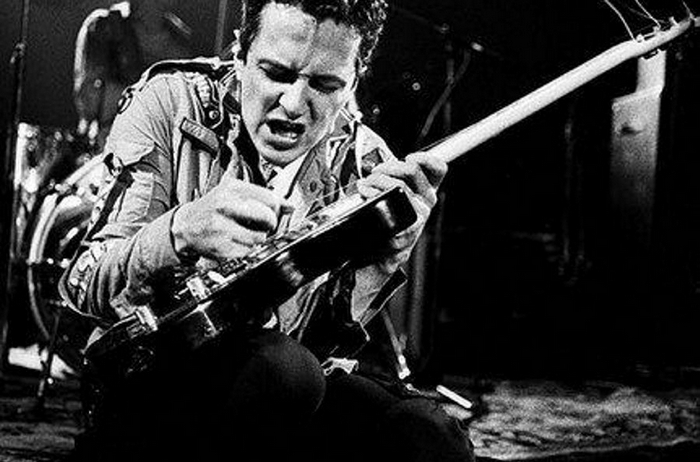 The life and legacy of the late Joe Strummer of the Clash will be celebrated at the Town Ballroom on Friday. For the 13th year running, a host of Buffalo musicians whose lives have been touched by the work of the late Clash and Mescaleros front man Joe Strummer will gather in his name to celebrate through song. Always a well-attended event, “I’m So Bored with the USA: A Tribute to Joe Strummer and the Clash” will find seven bands performing their favorite selections from Strummer’s canon with the Clash, as a solo artist, and as the leader of Joe Strummer & the Mescaleros, beginning at 7 p.m. Dec. 26 in the Town Ballroom (681 Main St.). The event, which is the brainchild of musician Chris Malachowski of area punk outfit Wolf Tickets, will feature a headlining performance from all-star Strummer tribute collective the Rebel Waltz, as well as between-set performance by DJ Mark Wisz, and various special guests throughout the evening. Advance tickets, available through Ticketfly.com, are priced $10. The event is all-ages, and proceeds from ticket sales will go to support Strummerville, a non-profit organization set up in Strummer’s name, which promotes the development of new music and supports independent musicians around the world.